It doesn't matter if you're new to the pet fish world or an old hat starting up a new tank, the biggest decision you need to make is which kind of fish to keep. This is a hub about freshwater fish. 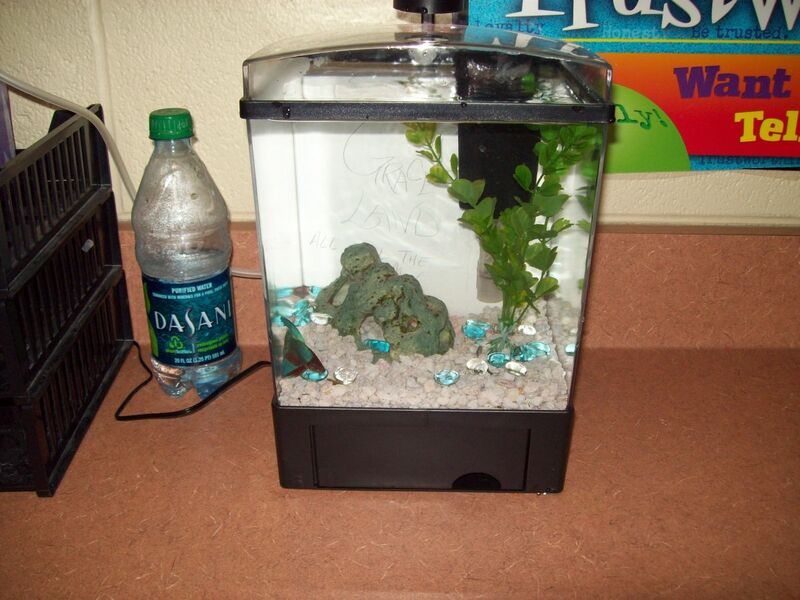 I will include a link to a few places you can find info on salt water aquariums at the bottom. Both fresh and salt water tanks have lots of colorful, beautiful fish to choose from. For beginners, I suggest a freshwater tank since they deal with less chemistry and are easier to maintain. If you choose to start a freshwater tank, the next important thing to think about is what fish you would like to keep in it. There are a number of successful groupings you may want to try including community tanks, goldfish tanks, species specific tanks or cichlid tanks. Community tanks have the advantage of being diverse, but you have to be careful to keep aggressive fish out of them as they can devastate a tank. Goldfish tanks can be a bit more aggressive, but they really do best with their own kind, especially if they are fancy goldfish like Black Moores or Telescope Eyes. Species specific tanks are good for breeding fish like Guppies, or schooling fish like Zebra Danio's or Neon Tetras. Cichlid tanks are highly aggressive and should not be combined with the other types. Notice the lack of pointy decorations to avoid injury to the black moore and celestial eye goldfish. We unfortunately paired some standard goldfish and carp with these fancy goldfish which later ended in their injury. This is our current tank. Residents include plattys (red with black fins), neon tetras, guppies, a very large chocolate albino plecostomus, two corydoras catfish and two apple snails. Here you can see the whole set up. The tank makes a great center piece to a room. It adds color and life to any home. A short note about setting up a tank. Goldfish and other fish that grow to large size usually need about 10 gallons of water per fish. Other fish typically need about one gallon per inch of fish. When you are choosing a tank and fish, it's good to keep those guidelines in mind so that you don't overstock your tank. Also, it is necessary to allow a tank to "cycle" when it is first set up. I could cite a whole bunch of fancy speech at your about why it's needed, but all you really need to know is that your tank will take about a month to be safe for your favorite pet. You can go about cycling in two ways- one is to let the tank sit empty for a month. The other is to buy a few inexpensive, hardy fish and allow them to adjust the water. Feeder goldfish and corydoras catfish are both good candidates for tank cycling. I have found that both are hardy enough to withstand cycling water and are inexpensive enough to be easily replaced. 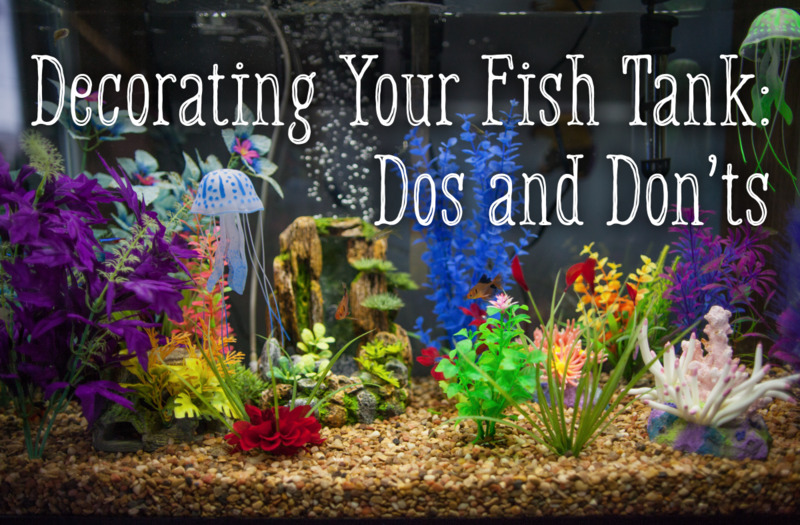 Either way you do it, don't put your most prized, beautiful, exotic fish into the tank for at least a month after you set it up. Also, all tanks do better with some "bottom feeder" or "tank cleaner" fish. These fish (or invertebrates) keep tank and walls cleaner so that you have to change water/scrape out the tank less frequently. Good fish to buy to keep the tank clean include corydoras catfish, plecostomas, apple snails and chinese algae eaters. 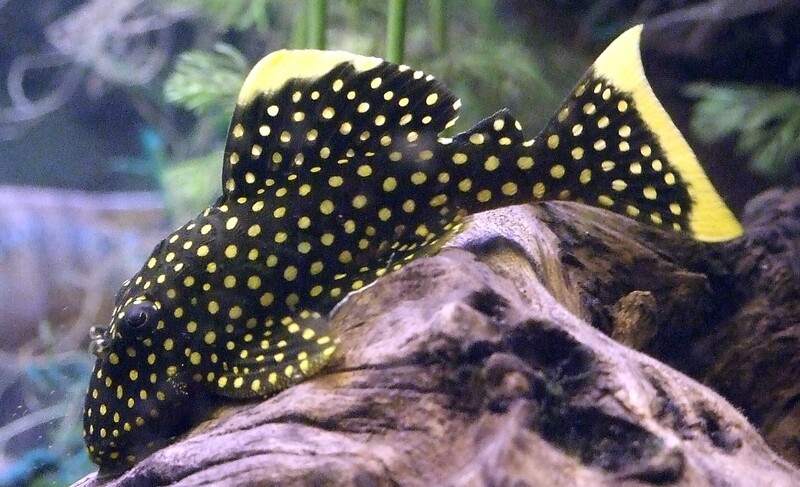 A word of caution on the pleco's and chinese algae eaters: the pleco's are delicate and easily die in poor water conditions. They also are very nocturnal and it's not uncommon for them to hide all day. You should always provide a place for them to hide so that they feel safe during the day. Chinese algae eaters can be very aggressive. I'd never seen that behavior until I kept one in my guppy tank two years back and it began shredding their fins. Later I looked them up online and saw that they were in fact listed as semi-aggressive and did grow much larger than I originally believed. They should only be kept with other slightly aggressive fish and only in larger tanks. Common Goldfish- This is a semi-aggressive fish. They can be kept well with carp (read, catfish-like goldfish), other goldfish, and bottom feeders. Catfish and pleco's go just fine with common goldfish. I have heard of keeping Gourami's and other semi-aggressive fish with goldfish, though I have not tried it myself. Provided they are all about the same size that should work out just fine. Fancy Goldfish- This includes fish such as the Black Moor and Telescope Eye goldfish. I really recommend that these fish be kept by themselves. I have seen a lot of fin and eye injuries in these fish if they are kept with anything but other fancy's and a few bottom feeders. 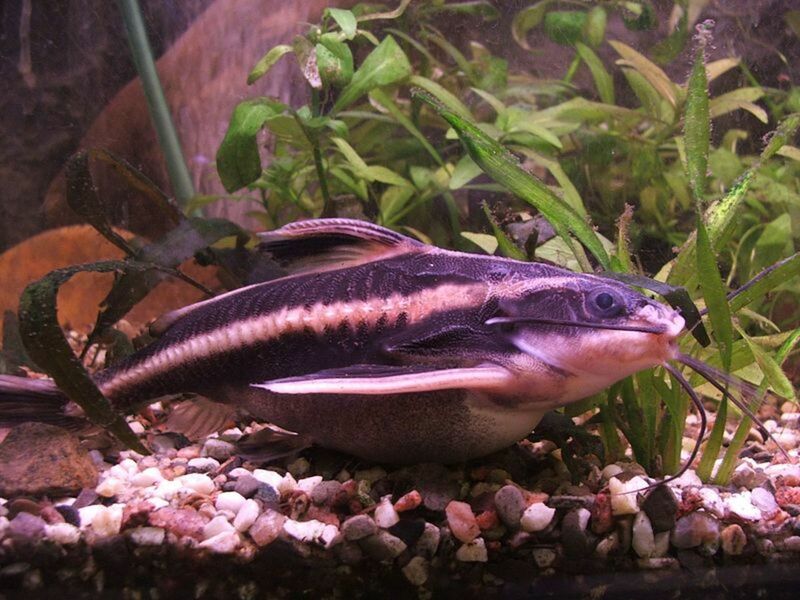 Catfish and Pleco's seem to do okay with them, but anything fast or aggressive just tear up these fish unmercifully. Beta Fish- These aggressive fish can do well in much smaller tanks than most. They have a special organ that allows them to get oxygen from the air as well as the water. This means that a tank only holding a half gallon to a gallon of water would be acceptable for a lone beta. Many creative, fun types of small tanks are made for betas and can be bought for a reasonable price. If you do purchase a small beta tank, I do recommend getting one with a filter so that cleaning can be less frequent. A snail in such a small tank is also a good idea because the beta will not harm it and the snail will help keep the tank clean. Also, betas can do well in a community tank with fast, small fish as long as they don't have any flowing fins to shred. Good tank mates include neon tetras and zebra danios. Tetra's, Barbs, Danio's and Other Schooling Fish- I do not include guppies or swordtails in this category because they are livebearers and slightly different. 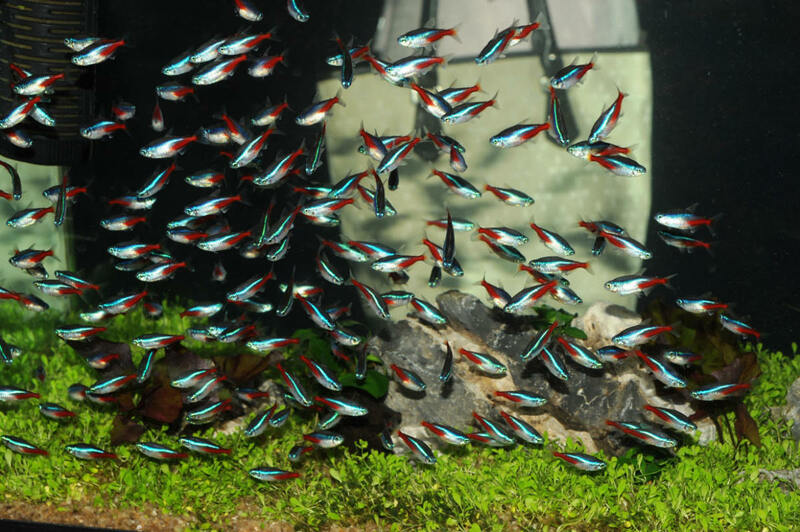 Good examples for this category are Zebra Danio's, Bala Sharks, Ghost Glass Fish, Neon Tetras, Glowlight Tetras, Rosie Barbs, and Red Eye Tetras. There are plenty of other Tetras and Barbs that fit here as well. These fish are very good to keep in a community tank and some can do okay with normal goldfish, though I don't recommend that they be kept with fancy goldfish since the fancies often have sight issues and long fins that can get torn up by fast little fish who can see better and swim faster. Also, these fish do the best when kept in groups of five. At the very least groups of three are acceptable but their remarkable schooling behaviors are best observed when in larger groups. A few barbs can be mildly aggressive so try to keep them with fish of the same or larger size. Loaches and Knife Fish- These fish are very dissimilar though their appearance is somewhat close. Loaches can come in a variety of shapes and sizes. Some are worm-like while others can resemble freshwater clownfish. They are generally passive, quiet fish that do well in a community tank. Knife Fish, by contrast, vary widely in their temperament. A few can be passive but most are extremely aggressive and will pretty much eat anything smaller than it in the tank. I've seen a friend's tank decimated by an aggressive knife fish. Angels, Paradise Fish and Gouramis- Angels and Gouramis are semi-aggressive fish that do alright in community tanks with other fish their own size. Some smaller, fast fish such as streamlined tetras or danios can do well with them also because they can move out of reach quickly. Paradise Fish are similar but they have flowing fins that can easily be damaged by fish of the same aggressiveness level. They can be kept with members of their own species and some bottom feeders. Cichlids- I have less experience with cichlids and thus have less information on them. What I do know about them is that they are hyper aggressive and do not make good community tank members. They should only be kept in a strictly cichlid tank. However there is a large variety of them, so if you want a diverse tank you can still keep them just make sure that you keep them with others of the same type. Guppies and other livebearers- I have had great success with guppies in a species specific tank. They breed like crazy in a slightly dirty tank. Give the babies a few places to hide and soon a three fish tank can turn into two-dozen fish tank. Fancy guppies come in dozens of colors and are quite beautiful to watch and raise. Swordtails and some other livebearers can be hyper sensitive to water quality. If you are very careful to keep the water clean and at just the right temperature, these fish can be quite beautiful. 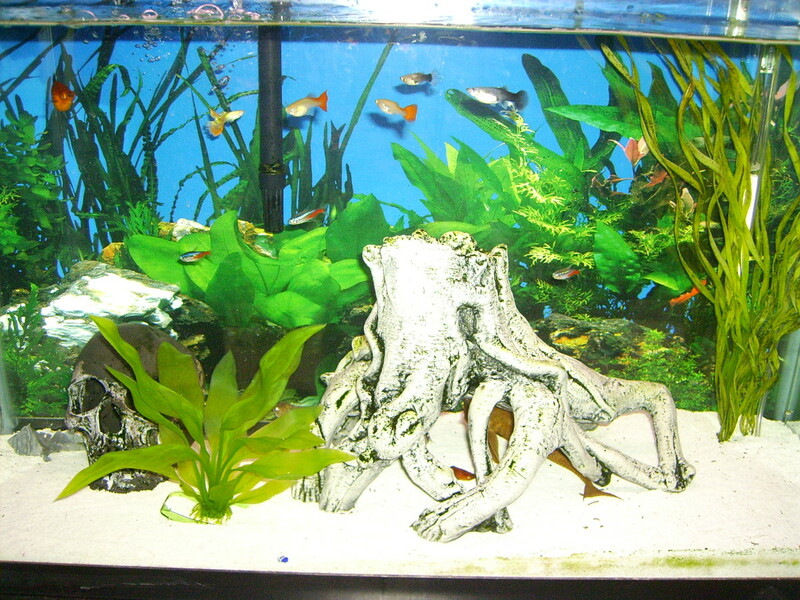 They are fine to be kept in the same environment with the Tetras and Barbs. A healthy male beta fish Beta fish may be kept with bottom feeders such a snails or fast small fish that don't have flowing tails. i have a five gallon tank with two corydoras catfish and two apple snails one fantail goldfish and a common goldfish. We have a 50 gallon tank. In our tank we have one kissie fish, one tiger fish, two angel fish, one albino shark, two red tailed shark, two tetra fish, one bottom fish which he is getting big, two male betas, which they get along well. We introduce them first together in the huge tank which we were told we could not do but they are getting along well like brothers. Just information to let you know. Also in our tank we have a big log with big holes in it with plastic plants on it which the sharks like to be in it. That's a good question. My experience with goldfish is that they are extremely hardy and are rarely harmed by warmer water. Right now my husband has 2 fantails in a sand-bottom aquarium with two corydoras catfish and a plecostomas and they're doing fine. I have had the same combination with a gravel bottom no problem. I do know experts say goldfish do best in cold water and I am sure it is true. All I can tell you is my personal experience is that the goldfish are usually the hardiest ones in the tank (aside from the special concerns of fancies such as nipped fins/bulging eyes etc) and if you set up conditions for the other species in the tank they seem to do very well with them. Sorry for the typos, my smartphone isn't so smart with it's snooty autocorrect. Great site, thank you for all the great info. Now I need some advice. For Christmas I got my son a small 5 gal tank for the Glofish he wanted, but, the attendant at petco told me my tank had to cycle for a month before I could put the Glofish in. I asked what I could take home that day to give my son some immediate gratification and she suggested goldfish. So, he picked out two beautiful Shubunkins that are doing great. A month later, er went back and purchased three Glofish. I asked the attendant if the shubunkins were compatible with the Glofish asks she said yes. One died the very next day. I figured the fish didn't acclimate as well as the others. We went back to replace it but my sin decided he liked the neon tetra's. Again, I asked about compatibility with the other fish currently in the tank she was assured that they would all peacefully coexist. So, here we are about a week in after getting the tetra's and I've noticed that one is constantly hiding, I've had to move the coral/cave/plant decoration that was in there to see if he was possibly dead, but he wasn't, he was just hiding. The other tetra had been lazily drifting and kept getting caught against the back of the filter and the tank wall. I freed him several times buy knew he probably wouldn't make it much longer, and I was right, I just found him belly up. The other tetra came out during the commotion of me removing his departed buddy, but quickly went back into hiding. I'm assuming that the tetra is stressed out, but I'm not sure what out could be from. I realize now that they would do much better in groups of five or more but don't want to overcrowd the small tank. One tetra that's already stressed probably doesn't stand much of a chance now though, right? I know that when the shubunkins get a little bigger they'll need a bigger tank, but for now they, and the Glofish, seem fine. 2 shubunkins, 2 Glofish, and one tetra...should I get another few tetras, Glofish, or leave them as they are? I feel bad for the lone tetra but am worried that if I get more tetras the current one will die and that the two or three new ones will start to feel stressed all over again. I duo know that I definitely need a larger tank, and soon, but this was just spudded to be an introduction tank for my son (and myself obviously). Any archive would be helpful., I've found myself attached to these fish and fond their presence relaxing, I love watching the bright colors and gracefulness of their swimming but don't want to see them hurt or stressed. I have 2 angelfish, 2 tiger sharks(as the shop keeper says) and one catfish in my 40 gallon tank. i got a prblm wid shark, on my sharks body i saw blood like thread and its lay on my tank bottom..
or anything else plzzz Help me. Hello, I have a 75 Gallon fish tank currently with goldfish in it. I have 3 Gold Carp, the largest being about 5.5 inches long and the smallest being about 4 inches. 1 large black moor, 1 Pearlscale, 1 Redcap, and 2 Fancy Goldfish. I also have a medium size Plecostomus and 2 snails. I would like to get something different for the tank, and I was wondering what would work well with the large carp? Would Cichlids pick on a fish thats 5.5 to 6 inches long? Currently the fish in the tank now get along just fine, I was just curious about how cichlids would get along with carp. The Oranda wouldn't get lonely, but I think the 2 gallon starter is probably a bit small. Go with at least a 5 to 10 gallon. The only fish I would put in less than a 5 gallon is a beta fish. I am thinking about getting a Oranda goldfish, and I was wondering if a 1.77 gallon starter goldfish kit would be big enough. 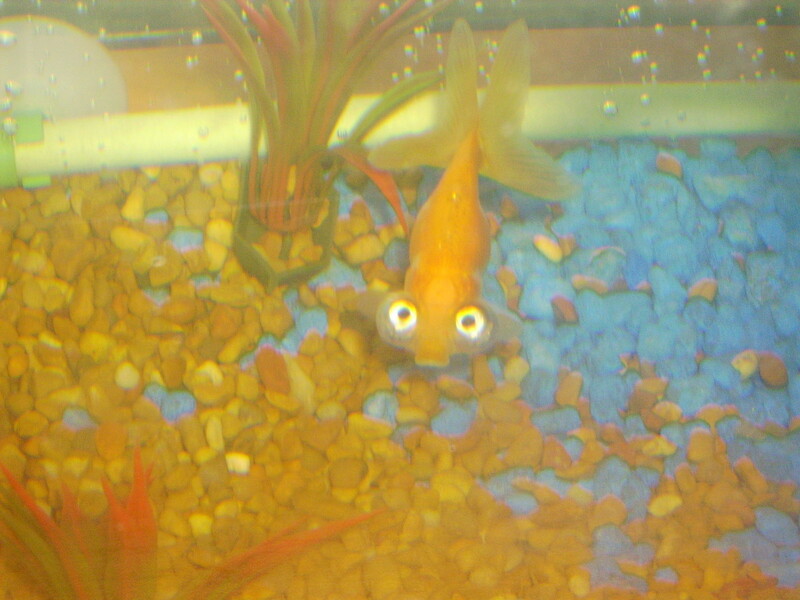 I was also wondering if it was ok that the Orada goldfish lived by itself? hey..can I keeg gouramies & angels with the carps..? I enjoy my Cichlid tank they are fun to watch swimming around the rocks and caves that have been set up in the aquarium. I have an all malawi tank to keeo it simple so not a community tank in some regards but there is a few different species in there. The short answer is yes. I think you could get away with it just fine at least until your fish gets really big. Good luck and enjoy your black moor! you seem to be very helpful when it comes to fish... so i why not, and ask you a question. My roommates just recently bought me a 10 gallon tank and filter for Christmas. Ive always had my heart set on a black moor since i started getting into fish a few years ago. I was just wondering if it would be ok to squeak by with my new ten gallon tank. I have two ottos currently, and a male Betta. However if i do end up getting a moor Im just going to leave the betta in his current 5 gal tank. :') i've read that the two don't get a long. But again, I guess my question is, would it be possible for me to get a black moor goldfish and keep him in a 10 gallon tank with two algae eaters? As they get larger, the angel fish will most likely become aggressive. You may get away with the fantail goldfish because the angels are the slowest of the cichlid family. However, this limits you in what can get along with your tank community. You will definitely want some clean-up fish such as corydoras cat fish and a plecostomas or apple snail. The larger the tank the more bottom feeders and algae eaters you will need. If you are looking for a few more fast, flashy fish, I recommend neon tetras, platys, guppies or mollies. All of these small fish are fast, school well for a pretty effect, have nice colors and are tame enough not to bother your fantails too much. They also run a risk of becoming bullied by your angelfish, but their superior speed should keep them safe for the most part. One note about them, however. As they are schooling fish they do better in groups of three or more, so I would pick one type and load up on four or five of them. It is delightful to watch them school through your plants and rocks! hello i just went thrgh the site, i got 2 fantailed goldfish & 2 angelfish,will there be any problem,they are small.its my 1st fish tank.which more can fish i can introduce into my new tank?? thank you octaviaslady, very much appreciated. Godbless! Congratulations on starting a new tank. Riyukin goldfish are very pretty and I'm sure they will look lovely in your tank once it is established. Cycling will occur no matter what you do. Since you put fish into your tank right away, some of them may get sick or die because the water's ph, etc has not had a chance to settle. However, once the first two months or so is over with your tank population should be more permanent. As for the threads on the tails it may be a parasite such as Gyrodactylus. It may also be an elevated level of ammonia in the water. Gold fish are very dirty fish. Since you have completely filled your tank with them, I recommend you try changing out half of the water today and the other half tomorrow or the next day. You can buy kits to test water ammonia but it's always good to keep the water as fresh as possible. If that doesn't work, try some parasite guard to get rid of any parasites. Good luck! Well, I think the black moor and oranda situation sounds just fine. The red caps may gang up on the black moor (they can see better than he can), so I might get a slightly larger black moor just to be safe. As far as the bala sharks and pangasius, I think the 20 gallon may not be large enough for them forever. Pangasius can get up to 3 feet long and bala sharks are no slouch either. For a while they would be fine with a plecostomus (also a big grower and fun to watch), some very fast tetras or even a gourami or two. Watch out for gouramis, though, they can be mean if you aren't careful so make sure to match the size of any you get with the size of your current fish. Always make sure the gourami is the same size or smaller than the fish you already have. i have two orandas, two bala shark and two Pangasius catfish in a 40 Gallon tank. I am planning to move my bala sharks and Pangasius Catfish in my 20 Gallon tank. that leaves my two orandas in my 40G tank, can put 1 black moor and 1 Red Cap Orandas, would that be enough? what tankmates can you suggest for my 20G tank with bala shark and P.Catfish? I love those cute little ones with big eyes. They're unique! The ten gallon tank should be enough for now. They may grow too large for it eventually but right now they should be fine. As for the white fuzzy stuff there are several options. It could be ick or it could be any other number of bacterial infections. Ick medication or methyl blue may work for him. Go to an upscale pet store. Take a picture of your fish on your phone to show the employees. They should be able to give you the right medication. It may or may not be too late for him but at least that will give him a fighting chance. Good luck! HI, i have 1 black moor and 1 redcap goldfish and they are in a 10 gallon tank... is 10 gallons enough? and i have only had them for about three weeks and they are very close in size but the redcap is just sitting at the bottem with white fuzzy like stuff all over it. i tested the water and everything is normal but is just sitting at the bottom and when i feed it it eats but when its done goes right back to the bottom... what is it doing is it going to die? 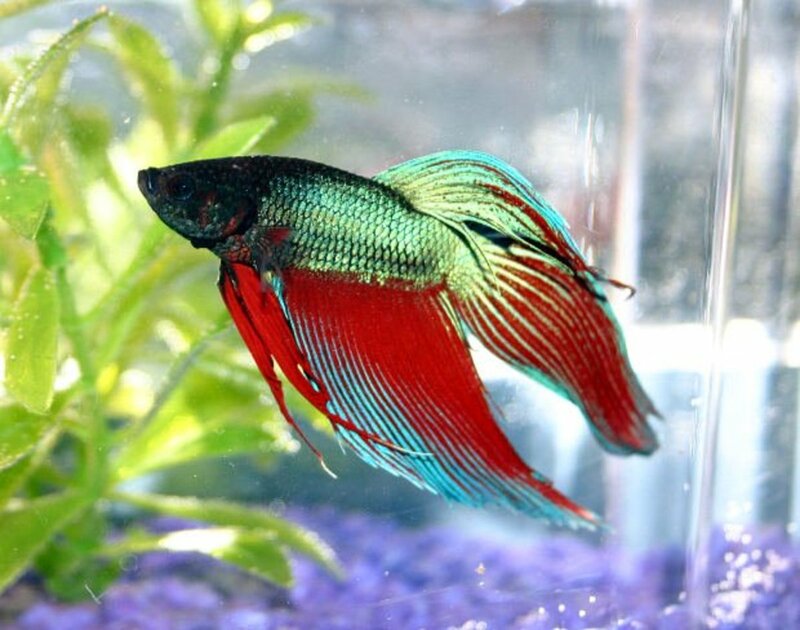 daze1dog: Betta fish are very aggressive to any fish with flowing fins. It will most likely kill your fantails. Nice article! Very informative...I love keeping tanks as well! I recently bought a black moor goldfish, and rather foolishly assumed that it could be kept in a regular fish bowl. After reading a few articles, I've found that this will be a problem as it grows... and I hope to remedy the situation. Would a 2.5 gallon tank be alright, or do I need to find something even bigger than that? I currently have a 10 gallon community tank, with a blue dwarf gourami and five guppies - but after reading the earlier comments, I don't plan to house the black moor with them. Also, would a female betta and male gourami be alright if kept in the same tank? Karly- I would let the new guy mature in the 16 gallon before letting him in with the Orandas. It's just good policy to keep your fish about the same size. Now he doesn't have to be EXACTLY the same size when you introduce him, but at least get him over half the size of the other two. Meg- I have heard that some free swimming cat fish such as the pictus can work well in a semi-aggressive tank. They like to school, are in constant motion and get to be around six inches long. So that's my suggestion! what a nice clean neat tank you have! nice info about choosing fish, yeah compatible fish are really important. thanks! I recently set up an awesome 55 gallon tank I am doing semi-aggresive fish I have 8 tiger barbs,3 gold gouramis and 2 blue ones I also have three bala sharks which I know are going to get big and I am prepared for that does anybody have any other suggestions on any other kinds I have heard clown loaches do well but what else..? Basically, I'm wondering how big of a tank I should get. 30, 40, 60 gallons? And, I really want a ranchu. I finally found a local store that carries them but they've only got tiny babies (about 1.5 inches long). Were I to get one, would it be more wise to put it in the 16 gallon tank until it got bigger or will it be okay if it has enough places to hide with my two Orandas in the new tank? I'm planning on planting my new bigger tank with live plants. I've had my fancy goldfish for about 9 years. THere is four left and all they do is lay on the bottom of the tank. When it comes feeding time they get up for that? But not to swim around? I've tried everything from water changes to ph...still no luck. I feel really bad for them. This isn't the quality of life I would like them to have..what should I do? I should add that the first goldfish was a gold common goldfish. As I said before, it was about 2 years old and maybe 2 inches long. It was the 2nd largest fish in the tank at that time. 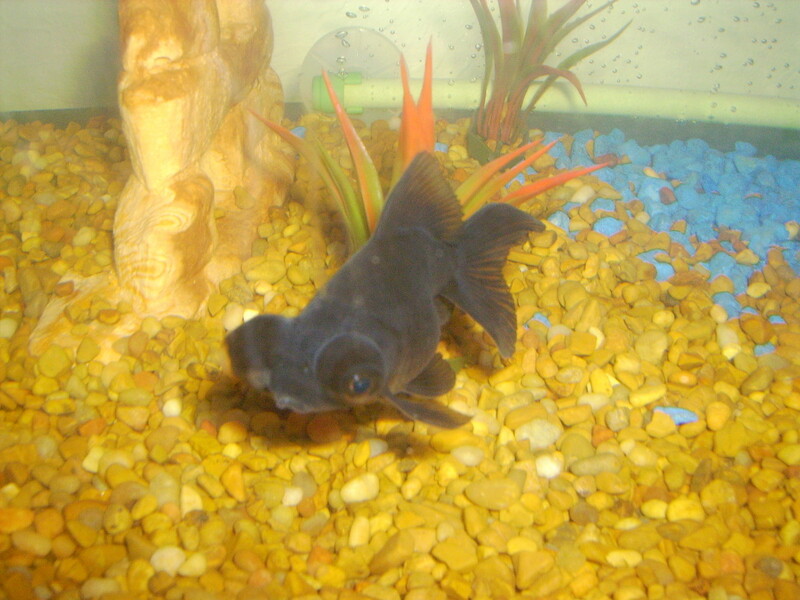 The second goldfish was a black moore that is about 1 year old and is also about 2 inches long. The first goldfish killed off other, smaller goldfish and the black moore killed off various fish that were also about 1 year old as well, and they had been the same fish in the tank for the entire year (as was with the first goldfish). Hi All! I have a question/concern regarding goldfish with other community fish. I have had two experiences with goldfish that were fine with other fish until they reached a certain size (about 1 1/2 - 2 inches). At first, I thought a fish had died and they were pecking at it. However, later on, I seen a goldfish peck another fish to death. That fish was about 2 years old and I got rid of it after it destroyed about 5 other fish. A few years later, I had another goldfish that after about 1 year of having it, it starting killing off the other fish. Is this common for goldfish once they get too big to be small (15 gallon) fishtank fish, or is it once they have started pecking at fish, it becomes a habit. I want to get new fish for my tank, but I am wondering if I should just avoid goldfish all together and isoloate my remaining "killer" goldfish. Thanks for the comment. The thing about fantails is that they can see much better than black moors. Because of that advantage, the fantail is much more likely to beat up on the black moor. Not much you can do about it except give the black moors plenty of areas to hide, like under rocks or fake logs. Other wise, get another tank for your black moors. My sister recently bought my niece a fish tank and it now holds two small black moors and a fantail. I was wondering if it was usual for the fantail to chase the black moors. one of the black moors is slightly larger and the other slightly smaller than the fantail but the fantail doesn't seem to discriminate in its trouble making and chase's them both around the tank until they are in the corners or well away from it. mariL- the simple answer is no. I have seen both angel fish and tiger barbs get very aggressive and the telescope eye goldfish would get beaten up or killed sooner or later. Even if they're okay at first, the angel fish will grow much faster than anything else in the tank and will end up huge, mean and deadly to the other fish. Hi, could you give me advise, if I can have tiger barbs, telescope eye goldfishes and angelfishes tin the same tank? The ph is about 6.8 and water is about 65. I think you have it. This surviving fish (is almost 4 1/2 inches) and is double the size of all the other fish. Again thanks for you immediate respond and probably correct solution. Are you sure your one fish got violent or could water ph or quality be the culprit? Sometimes fish will get aggressive as they get larger, but this many at once is a little rare. Especially since you have all the same kind of fish in the tank. Did this fish get a lot bigger than the others? If so, you might be save getting some more fish around the same size it is now. If not, check your water quality before you reintroduce any more fish. Also, no matter what other fish you put in a tank, having a bottom feeder like a cat fish and an algae eater like a plecostomus are always a good idea. I have a 55 gallon tank which I thought would be a great home for low maintenance goldfish. I bought 11 feeder goldfish and for 4 months every was great. They all started growing and no fighting. I only had to clean algae and change water. Last week, two fish died and I did the regular water change and cleaning. The last two days now all are dead except one and he is eating the remaining dead one. Is this common for a fish to be so dominate and kill all the fish in the tank. Thanks, I have never seen anything like this. Thanks for the advice. While it was too late for the oranda in question (the stress must have done for it), I recognised aggressive behaviour from one of the shubunkins. I isolated it for 2 days and it has been peaceful since it's re-introduction to the tank. I'll act sooner if the little monster plays up again! I just got a new aquarium nad i got 2 Gold fish,2 bala sharks, 2 tetras,and a pictus catfish,and i went in the room earlier and the goldfish has a strane of his fin offshould i put them in there own tank and will the goldfish be ok? This is all the evidence of bullying your tank needs. Someone has decided that they don't like your oranda and is chasing them into the corner. I've seen this behavior many times and the aggression can seem subtle at first, but it will soon become obvious who is intimidating your fish. I have inherited a 3ft long by 1 ft deep by 18inch high tank. Tank has been matured and populated by the same fish for 3 months. I have 3 red goldfish, 3 lemon goldfish, 4 shubunkins and 2 red cap orandas, all small/small-ish. Water & filter changes made as per script, feeding and lighting regimens adhered to and chlorine levels monitored but one oranda has suddenly developed what seem like semi-shredded tail fins. Tank seems peaceful with no evidence of "bullying" but the oranda has taken to sheltering in a quiet corner, is this a sign of spawning or something more? My husband tried that exact combination and the beta tore up the black moor really badly the first night they were together. I wouldn't try it if you value your goldfish. colored long tail fish but maybe the black moor will be ok? I have 3 other spare tanks so if they don't get along i can move the batta fish but have people had any success keeping them together? Telling the difference between female and male guppies can be a challenge. Females are larger and have plainer colors than the males. In fancy guppies, males have huge pluming tails and fins while the females simply have smaller, colorful fins. I have not raised any other kind of guppy so I'm not sure if it is easier or harder to tell with them. I'm glad your goldfish gets along with them. Some do, some don't. A lot of it has to do with individual fish personalities! My guppies and one of my new goldfish get along even with guppy babies! And um.. can you tell the difference between male and female guppies? Well you have a few options. The best one is to get a bigger tank if you are going to have a lot of goldfish. 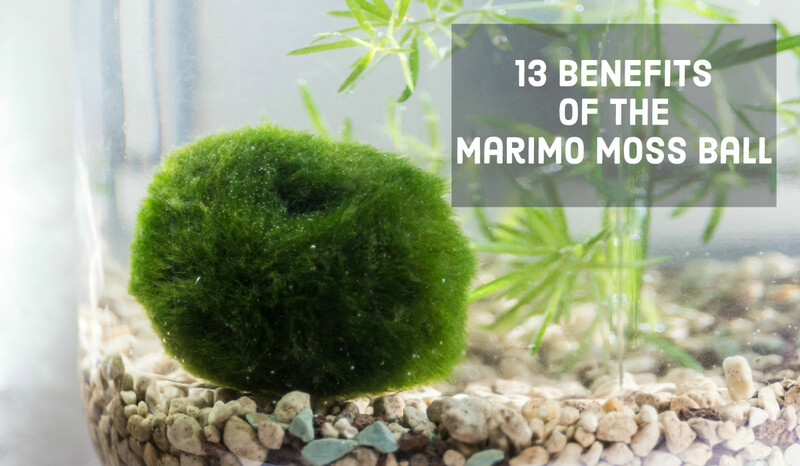 If that is not an option for you, either for financial or space reasons, there are a few ways to at least make things more livable for your fish. #1 is to change the water frequently with same-temperature anti-chlorinated water (there are additives you can use or simply let your water stand out for 24 hours). There are also some products that will neutralize some ammonia, but I have not used them personally. The only way to completely fix the problem, though, is to follow the rule of the inch- one inch of fish per gallon of water. As the fish grow, the tank has to, too. Help me please! 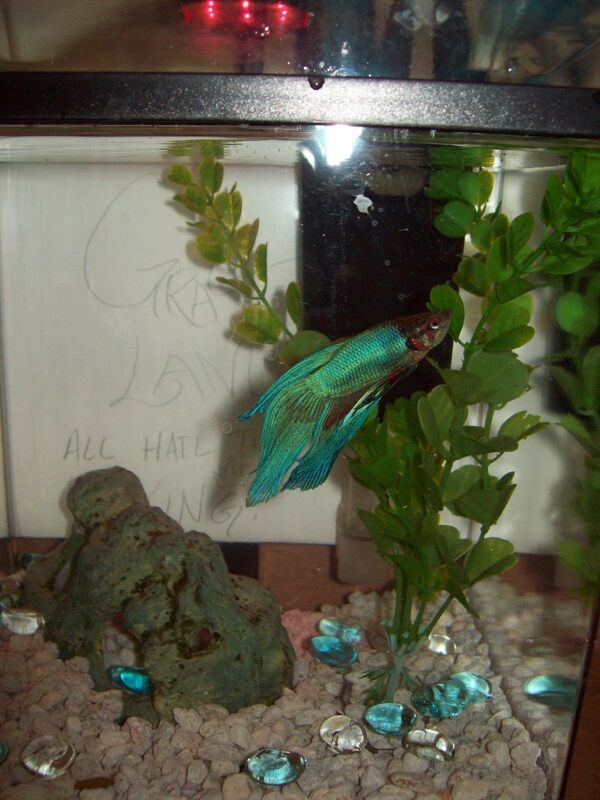 i have a 10 galon tank and a comet goldfisha nd common goldfish in my tank. Is that good enough space? they seen to be fine and i just got 3 more goldfish what should i do to keep amonia down and fish safe? My suggestion would be to put the goldfish in the 30 gallon community tank. yes, tetras may nip the fins of a large oranda, but mollies and guppies are rather tame fish and most likely will be fine with the goldfish. It is much preferable to have him in there with them than with the puffers. I think that would be the best choice. i have a 30 gallon tank that contains some guppies, tetras and mollies and 2 cory catfish, i also in another small tank have a red cap oranda goldfish and in a 10 gallon i have 2 small green spotted puffers , i would like to have just the 30 gallon and the 10 gallon so i was wondering if i could put the goldfish in my 30 gallon ? 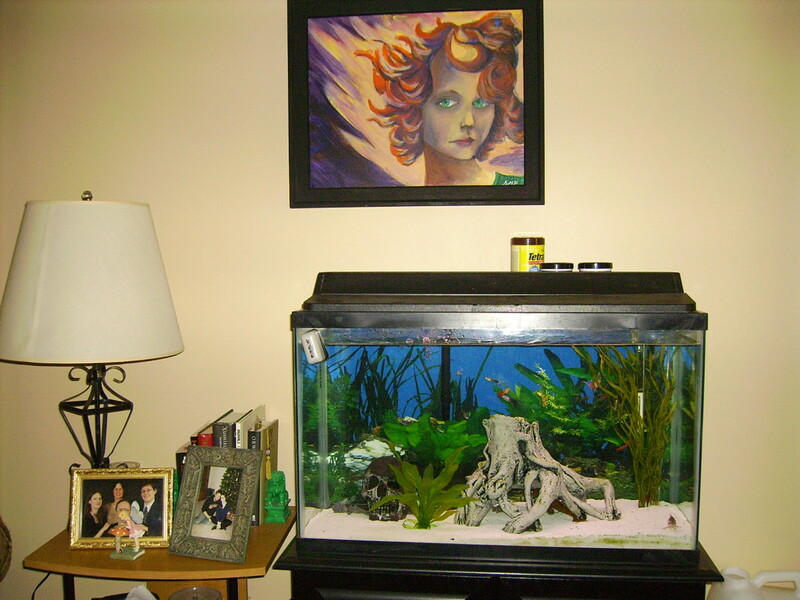 or if i could put the green spotted puffers in the 30 gallon and put the goldfish in the 10 gallon? the tank that the goldfish is in right now is maybe only 5 gallons so i would like to get him out of there , i do not have room or money for another tank, any suggections ? Well, that seems like an okay number of fish to me. One concern I have is that the zebras may shred up the fins of the Fantails. 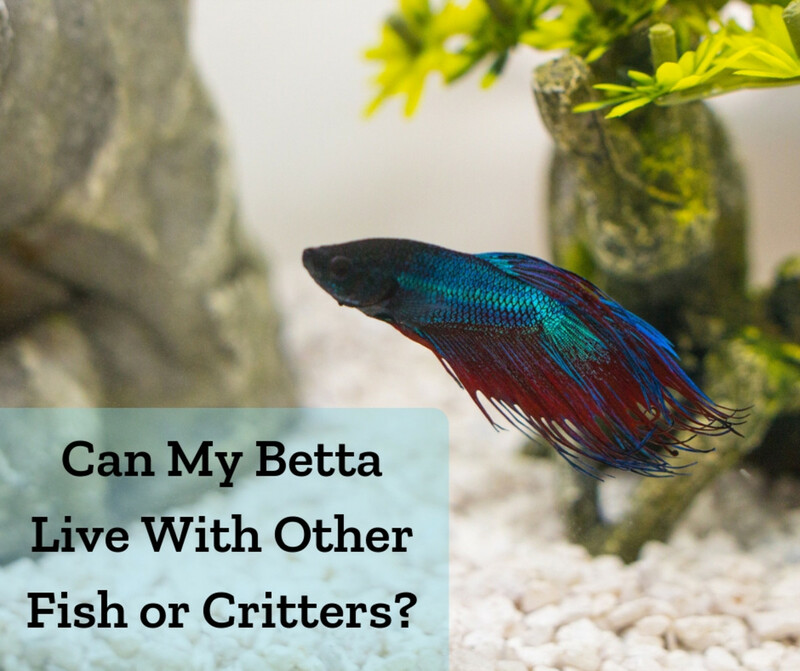 The Betta would do just as well in a little container of his own and that would eliminate the need for a condo. As for cycling, Zebras aren't a bad choice. They tend to be hardy and are usually inexpensive. I might be getting between a 25 gallon tank and a 30 gallon tank. Would this be a good amount of fish? 2 Fantail Goldfish, 1 albino corydoras catfish(small), 3-4 Zebra Danios, 1 african dwarf frog, and, possibly, a Male Betta, in a condo complex of course. One more thing, are Zebra Danios good coldwater cycling fish? a blue gourami should be okay. Sword tails might get their pretty fins nipped, though. Both pictus and gourami are notorious for chewing up other fish's fins. Most kinds of barbs would be okay. Zebra or Giant Danio's may also be fast and aggressive enough to get along. Hope that helps! The first thing to remember about your tank is that there is limited space. Gouramis, even dwarf ones, often grow to at least three inches. Pictus also will reach about six inches given the space. The balas are the real problem, since most experts say they shouldn't be kept in less than a 55 gallon. They will grow, grow, grow if you give them the room. Because all of these fish are semi-aggressive fish, it is very important that you put in fish of the same size and aggression. If they are of comparable size, angel fish and pearl gouramis may work. Keep your number down to a minimum, though, since your tank isn't really big. If you want to go for smaller and flashier instead, try some tiger barbs. They're pretty, aggressive and like to school which is always fun. I would only stock one new kind of fish, though, with such a small tank. just a quick question, i was recently given a 29 gallon tank, along with a pictus catfish, 2 dwarf gouramis and 2 bala sharks. what would be a few other types of fish i can put in with them? First off, define "really big fish tank." You typically should have about one inch of fish for every gallon of water you have in the tank. So if you have a thirty gallon tank, you could AT MAXIMUM put thirty one-inch fish OR fifteen two-inch fish, etc. So make sure your tank is big enough for all the fish you want to put in it. If you have had a solid filtering system set up for a month or two it is definitely safe for fish to be added. If, on the other hand, it's just been sitting around, I would fill up your tank, set up your filters and let it run for about a week before putting fish in there. That way the water "cycles" and doesn't immediately kill all the fish. As for the combination of fish you are thinking of, let me say it is a VERY bad idea to put any fan tailed fish, let alone a slow fish like a gold fish, with fast, aggressive ones like bala sharks or gouramis. The swordtails are also much faster than the gold fish and, while they don't tend to be very aggressive, they may still pose a threat to your slower goldfish. The oranda and fantail will be just fine together, but even a comet gold fish may have a tendency to shred flowing fins. If you took the fish you suggested and put them into two separate tanks, you'd probably be okay. The fantails and oranda would be good in one tank and the gouramis, swordtails and sharks would be cool together in the other as long as you bought them all at about the same size. Remember, gouramis are VERY aggressive as they get larger and I've seen some huge bala sharks get nasty as well, so make sure when you buy fish that they are all around the same size. Good luck with your new fishtank! Hey..we just got a really big fish tank like 1 or 2 months ago so i would like to know if its safe for the fishes to live in them..and if its okay to put a red capped oranda goldfish, fantail goldfishes, a comet goldfish, pearl gouramis, swordatail fish, bala sharks and rainbow sharks together if the water is at room temperature. Most recommendations suggest at least a 20 to 30 gallon tank. That's about 75 to 114 liters. Good luck on your goldfish breeding! l want to get two redcap orandas(and hoping to breed them) what size tank do l need in litres and gallons ? 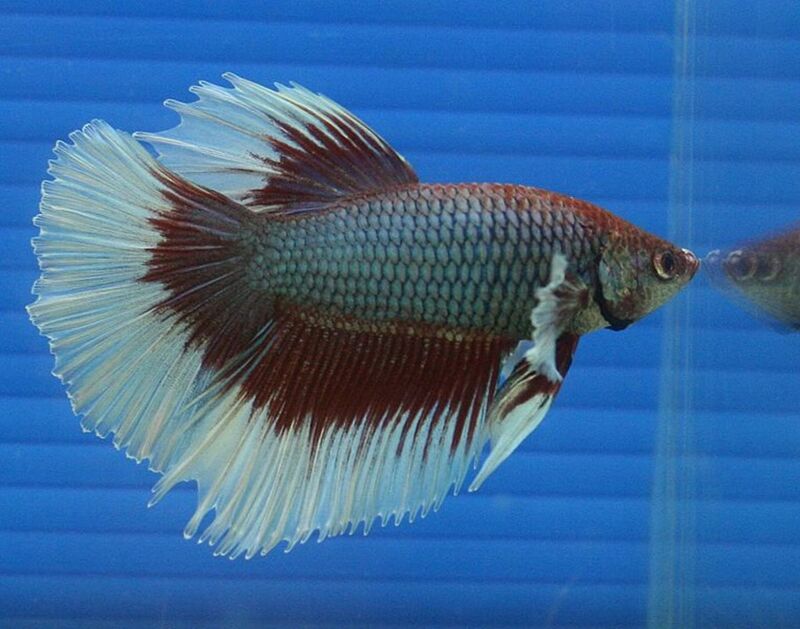 l want to get two redcap orandas(and hoping to breed them) what size tank do l need ? First off, I would worry about over crowding the tank. They say that gold fish need about 10 gallons per fish to reach their full size and health. While I might bend those rules a little bit, thirteen gold fish in one aprox. 55 galon tank is going to be quite crowded. The smaller fish would do just fine without the goldfish. My family has about five schools of small barbs and tetras as well as a pair of Bala Sharks, and a pair of Angel Fish living happily in a 55 gallon tank. The combination you mentioned would be fine without the goldfish. The Orandas, fantails and black moors would probably do well together. The common gold fish and barbs would tear them apart if they are in the same tank. As I cautioned in the hub, faster, smaller fish will do a lot of damage to the flowing fins of slower moving fancy goldfish. The common gold fish would probably be fine with the others, but should definitely be kept away from the fancies as well. 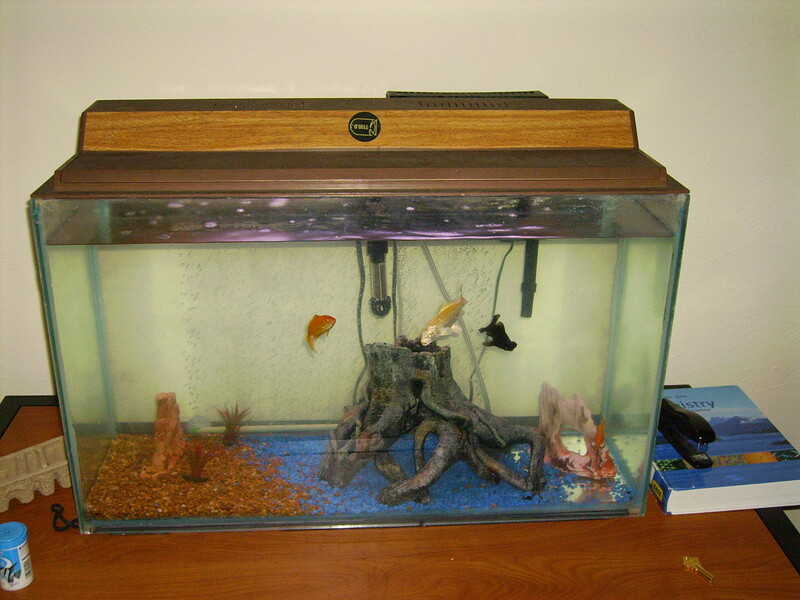 My now husband, then boyfriend, tried to keep his black moor and celestial eye gold fish with a normal coy and comet goldfish. The black moor was repeatedly beaten up until we got rid of the comet goldfish. The celestial eye was killed before we gave the coy to a friend with a pond. Hope that advice helps! It sounds like you will have a nice tank once you have it up and running.